Last year Daniel Fells, a tight end for the New York Giants, was hospitalized with a bad infection in his foot known as MRSA, which stands for methicillin-resistant Staphylococcus aureus. It is a drug-resistant form of staph. The infection didn’t respond to antibiotics, and at one point there was talk of needing to amputate the affected foot. After multiple surgeries, doctors were finally able to clear out the infection, but it is unlikely Fells will ever play football again. Although it rarely gets headlines, MRSA is perhaps the most well-known superbug –– a type of bacteria that is resistant to most, if not all, antibiotics. These infections may have once seemed like an exotic problem, but with each football season they are becoming more common, affecting high school, college, and professional athletes indiscriminately. But the problem isn’t limited to athletes, as these bacteria also infect healthy people in the general community. MRSA proves to be especially adept at evading the grasp of antibiotics, becoming a truly dangerous superbug. But this shouldn’t be a huge surprise, because as long as we’ve had antibiotics, staph bacteria have been figuring out ways to become resistant to them. What exactly is MRSA… and why is it so dangerous? According to the National Institute of Allergy and Infectious Diseases, Staphylococcus aureus, or staph, causes skin infections. These can include boils, impetigo, skin abscesses, and other painful conditions. If the infection goes unchecked, staph bacteria can cause pneumonia, blood poisoning, toxic shock syndrome, and sepsis (a life threatening immune response to an infection). Penicillin was successfully used to treat these staph infections after the antibiotic’s discovery in 1940, but its effectiveness began to wane as the S. aureus bacteria began to develop a resistance to the drug. So, scientists turned to the drug methicillin, but by 1961 they discovered that the first strains of S. aureus were beginning to show resistance to this antibiotic as well. 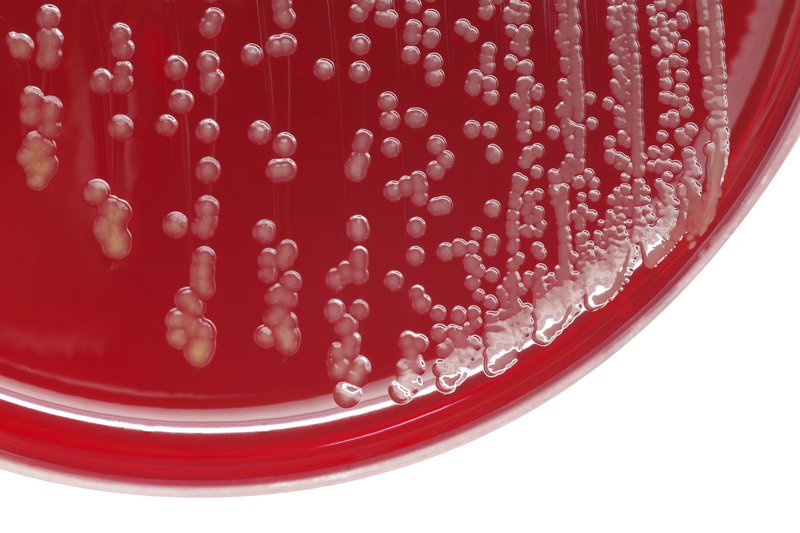 Over time, MRSA has become resistant to numerous antibiotics, making it increasingly dangerous and difficult to treat. According to the Centers for Disease Control and Prevention, about one in three people carry the staph bacteria in their nose, and two out of 100 people carry MRSA. There are more than 80,000 cases of MRSA each year, and more than 11,000 people die from these infections. Although most of these cases occur in the hospital setting, MRSA infection is becoming a more widespread problem in the general community. Although MRSA infection used to be primarily a “hospital problem,” it’s clear that MRSA is becoming a problem in the general population, usually in the form of skin infections. People can become infected with MRSA after being in contact with an infected wound, or by sharing personal items like razors, toothbrushes, or towels that have touched infected skin. The chances of getting MRSA increase in situations that have what doctors call the five Cs: crowding, skin to skin contact, compromised skin from cuts or abrasions, lack of cleanliness, and contaminated items and surfaces. Examples of people commonly in these situations include athletes, military personnel who live in close quarters, and daycare and school children, as they all involve crowding, skin-to-skin contact, and the sharing of equipment, supplies, and toys. It’s important to recognize the signs of an infection early on. According to the CDC, MRSA skin infections can occur anywhere on the body, and they usually appear as a red bump or an area that is red, swollen, painful to the touch, abnormally warm, or full of pus. If you develop any of these symptoms, it’s important to call your doctor right away. According to the CDC, maintaining good health and basic hygiene can help decrease the risk of bacterial infection. Promptly cleaning and bandaging any cuts or wounds until they are healed also helps keep cuts from becoming infected. Since MRSA can spread through personal items, it’s important not to share things like razors or towels, especially if people have cuts or scrapes. I Live in tropical country of Indonesia and yet MRSA case are low but still found in few area of the archipelago. And as Indonesian are the largest Country archipelago in the world, it also difficult for local goverment to reach those infected area. Agree with you that maintain basic hygiene is the best way to minimize the risk. I’ll be sure to keep my family informed about this issue.